We understand the importance of your business and would love to share some of our best practices. One of our active Frequently Asked Question is, “Why are My Emails Going to Spam”? This is a simple question with a complicated answer. There are variety of reasons and we wish to help our members tackle this task. Email Service Providers are nailing down on spam, there’s some ways to prevent it and our Support Team can provide you the answers. What I wanted to share with you today is what you can do to prevent your emails from going into spam. And if your emails are going into spam, how you can dig yourself out of that hole. These are some of the things you need to do because this is your business. We want you to succeed and provide you every opportunity to do so. Engagement makes or breaks your emails. If your first email goes to spam and there is nothing you can do. How about starting with your landing page and remind them to check their spam folder just in case. It would be better if you put that near or at the bottom of the “click here” or “subscriber now” button. Create a double optin so that your subscribers are engaging and eager to receive your emails. On your thank you page, instead of having them download your free ebook or whatever you want to give them, provide a link in your email. This way you can send them back to a different thank you page with your ebook. If they are searching for your email, they might look all over for it. Probability kicks in and they might get your emails into their regular inbox folder. Therefore send them emails regularly and do not disappear and suddenly send them emails. With any conversation and long pause will cause awkward moments and loss of engagements. Whether you are trying to dig yourself out or preserving your list to be a quality list. These ought to be your normal and routine best practices that you need to develop. In the real estate world, they say the following: Location, Location, Location. Email Marketing is no different. What attracts your subscriber is your content. Is it engaging? How is your image to text ratio? If you have too many images in your email, it does not really say much but provide different interpretation and misunderstandings. Cover your objections or obstacles by directing them to take actions. 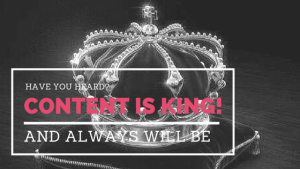 Make your contents simple and easy to follow. Use your reports to identify if your subscribers are not opening your campaigns. If they are not, provide them an opportunity and take necessary steps. 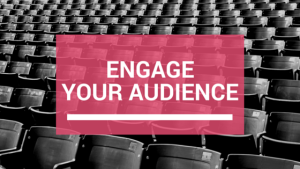 Engage and reengage with your subscriber on a regular basis. We understand the importance of engagement. However, some of your subscribers might get caught up with something else and forget the reason why they are receiving your emails. Be assured that all emails being sent with us has an unsubscribe link. Furthermore you do not want to do is provide your subscribers difficulty in unsubscribing from you. Any difficulty for your subscriber is not something you want to advocate and we provided this for you. On the other hand, what you can do to provide them to stay and be engaged with your emails is providing them a reminder of why they are receiving these emails. Providing them a reminder where they signed up with either an explanation of why they are receiving an email from you or your website/landing page would provide them an opportunity to look back and think before they click the unsubscribe link. This is one of the best practices to put into your business to provide every angle and every visual presence of your business and or brand. The possibility is of course, them still wanting to unsubscribe. But reading your reminder, clicking your link, spamming and unspamming your email. Providing an opportunity for your subscribers can go a long way. We all have free email address, and majority of the reason why emails goes to spam is because of the email service providers making certain regulations. If you are using free domain email address and your emails are going into spam, STOP. Using a free domain email address such as Yahoo, AOL, Google, Hotmail is not good for business. Many of these free email service provider will automatically mark your email as spam, if you use it for commercial, bulk email messages if it is from the same email. Yahoo is a great example. If you use a Yahoo email address and your subscribers also has a Yahoo email address, it will automatically be listed as spam. You can read about the DMARC policy here . With just a small investment in purchasing your own domain email address you can prevent your emails from going into spam. Places such as NameCheap, or HostGator can provide you your own email and prevent your business and your emails from being listed as spam. I understand that taking these steps do take time and effort. However, if you want quality and engaging subscribers, you would need to take it another level and provide something that many marketers do not. There are no guarantees, but what you can do, can make a difference. #DIGITAL: Why are My Emails Going to Spam?